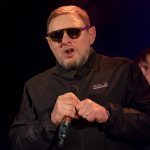 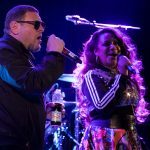 As Happy Mondays play Liverpool Olympia, Getintothis’ Jamie Bowman enjoys a night of greatest hits and 1990s nostalgia. 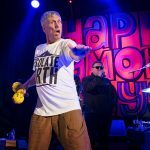 Now better known to a new generation as reality TV stars following well-received stints in Celebrity Big Brother, X Factor and the Australian jungle, it would be easy to dismiss Happy Mondays as nothing more than on call court jesters always hustling for the latest cheque or opportunity. 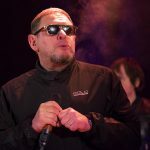 Maybe it was ever thus but at least their regular reformations give audiences a chance to appreciate once again one their uniquely original music which for a short time at the start of the 90s felt like the past, present and future all at once. 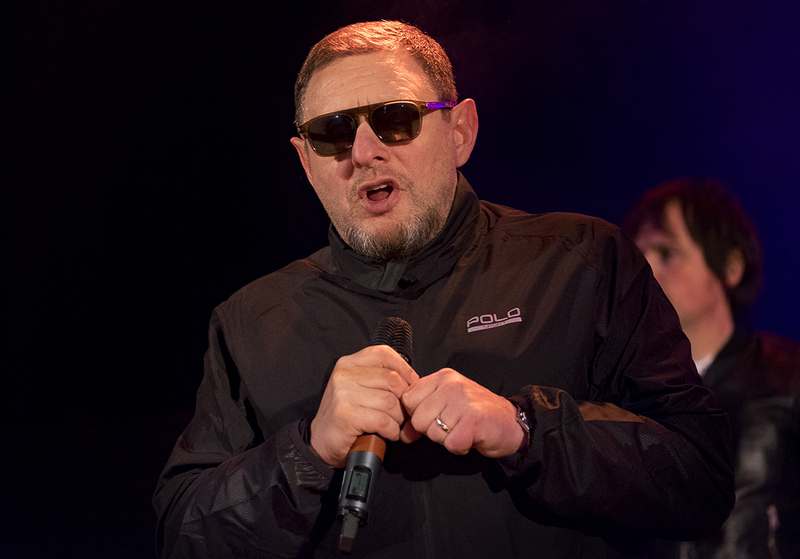 These days they’re more or less back to the original line up with Shaun Ryder flanked by his brother Paul on stoic bass duties and, crucially for the Mondays sound, Mark Day on guitar. 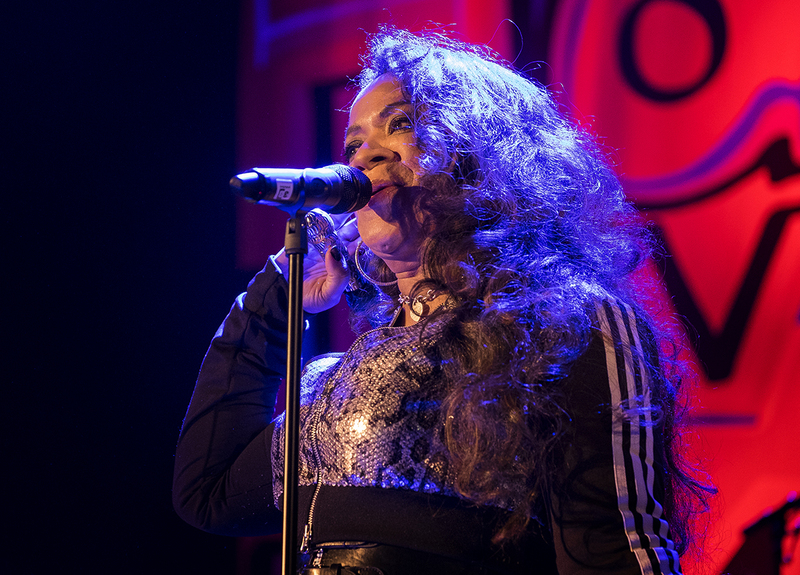 Up front, Ryder’s co-singer Rowetta continues to defy both age and gravity in a succession of revealing outfits. 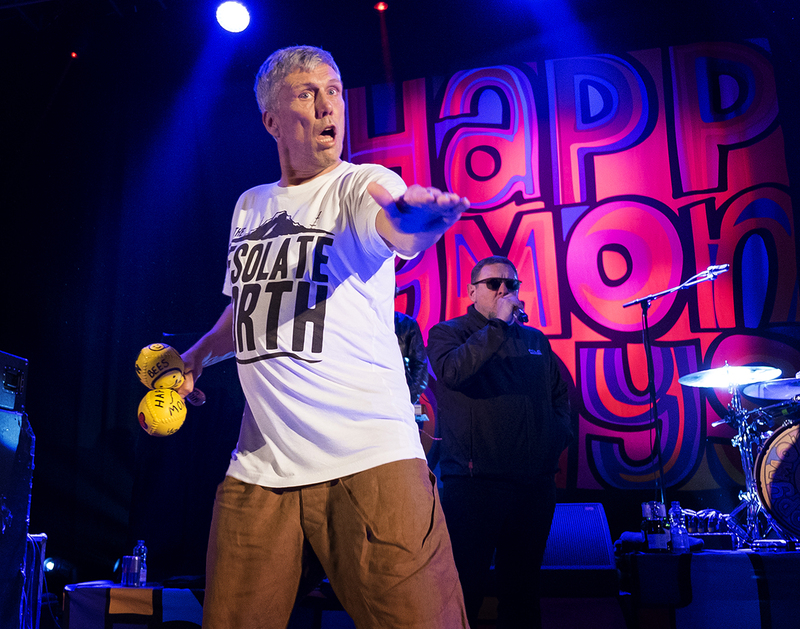 Bez meanwhile is Bez – the perma-gurning embodiment of the Mondays’ party hard ethos. 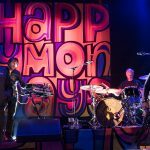 Tonight’s show is part of a ‘Greatest Hits’ tour and on that front the Mondays deliver with a set which produces banger after banger and even leaves room for the odd surprise. 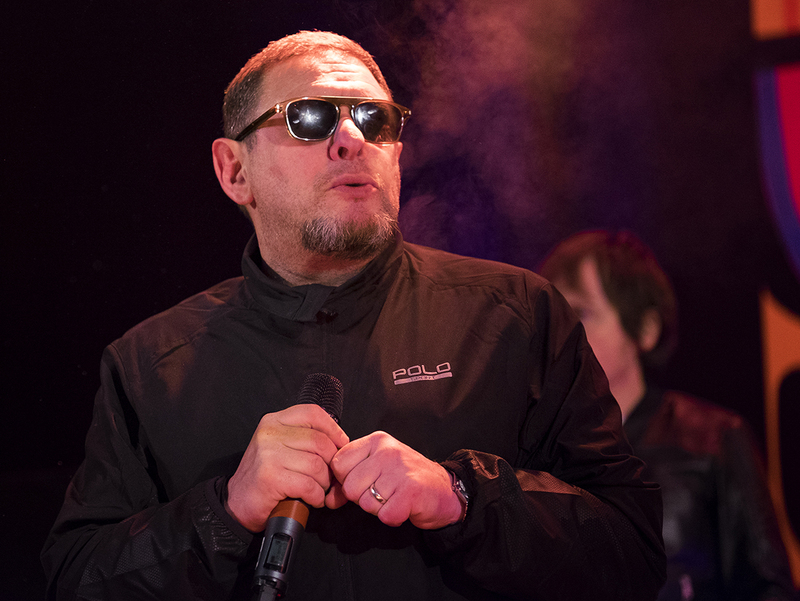 Unsurprisingly there’s nothing new (the most recent song played is 1991’s Judge Fudge) and Ryder frequently introduces each song with the words ‘here’s one from the 80s’. 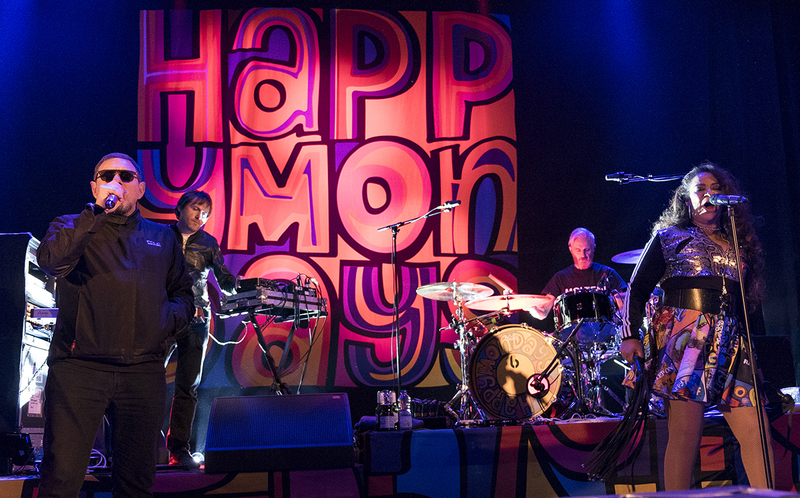 But we’re not here to stroke chins. 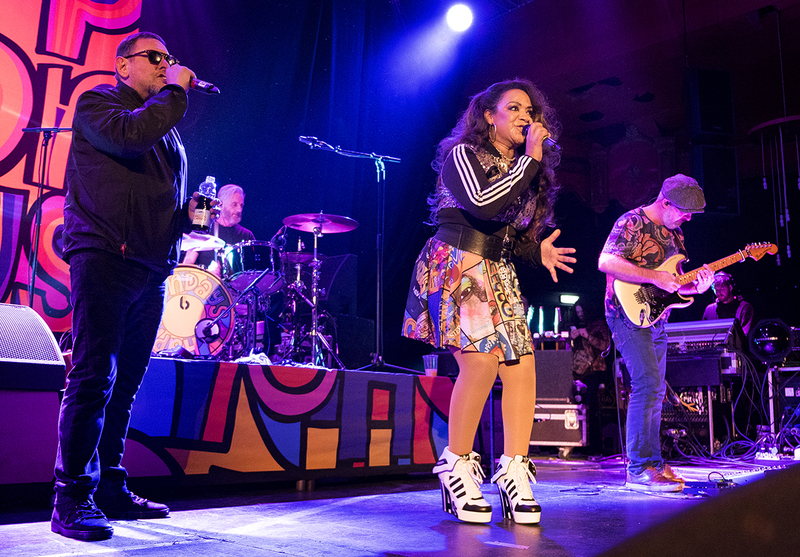 From opener Loose Fit’s clarion call of feedback to 24 Hour Party People’s psychedelic Northern Soul, the Mondays are on fine form with Day’s wah-wah guitar smothering everything in a loose limbed funk that’s hard to ignore and even harder not to dance to. 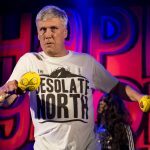 Watching the interaction between middle aged men and women who have had to bury innumerable hatchets over the years is rather touching too. 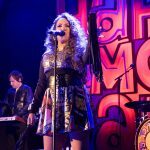 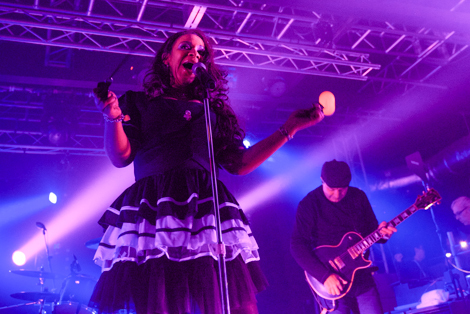 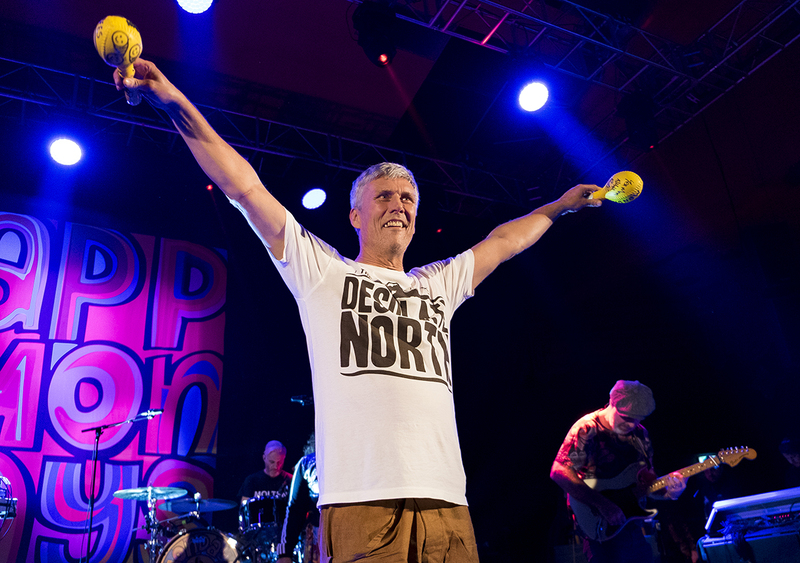 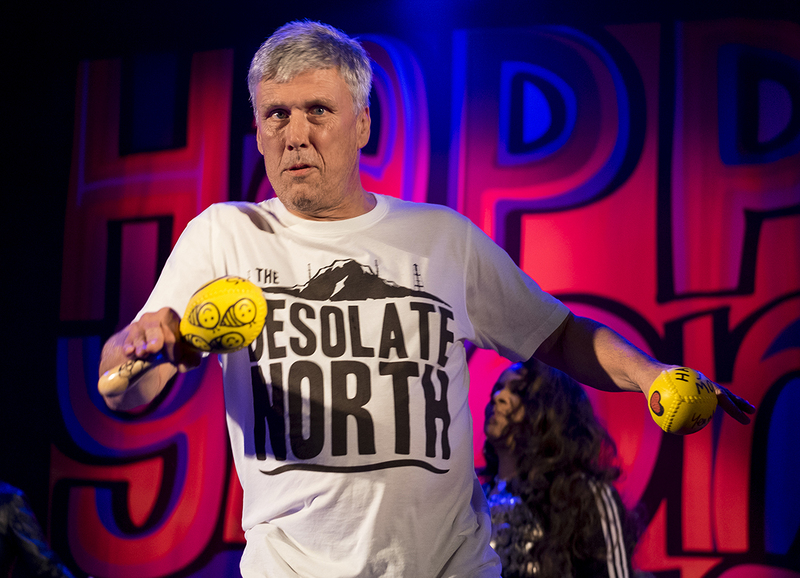 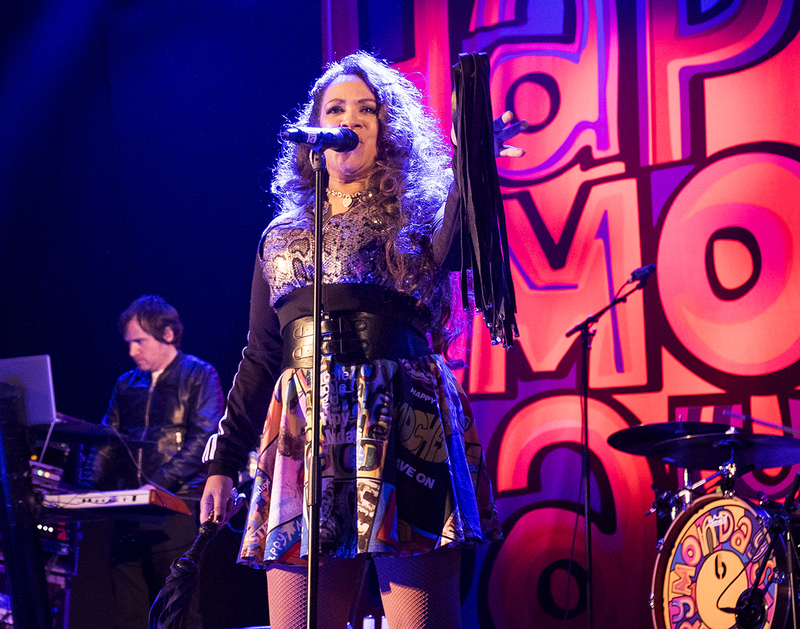 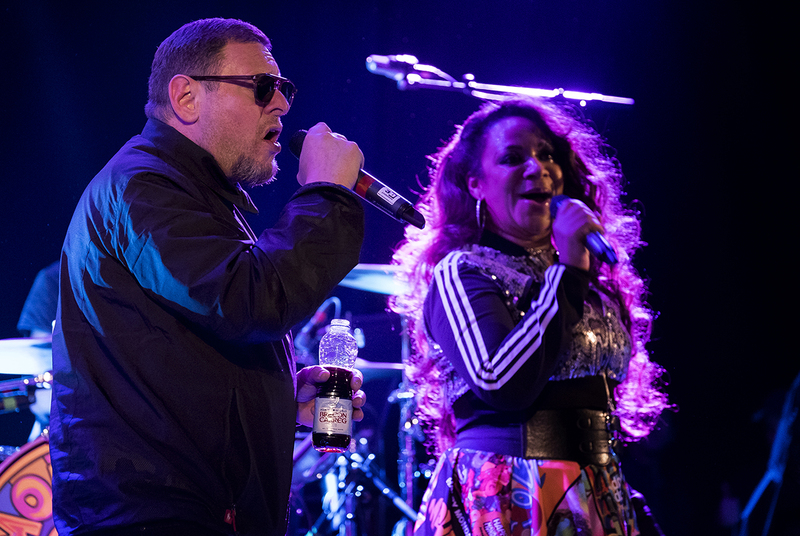 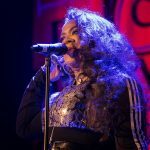 Bez teases one-time partners Shaun and Rowetta that Bob’s Yer Uncle is ‘their love song’ prompting the reply of ‘we’re getting on Bez – that’s enough‘ from the whip-cracking Rowetta. 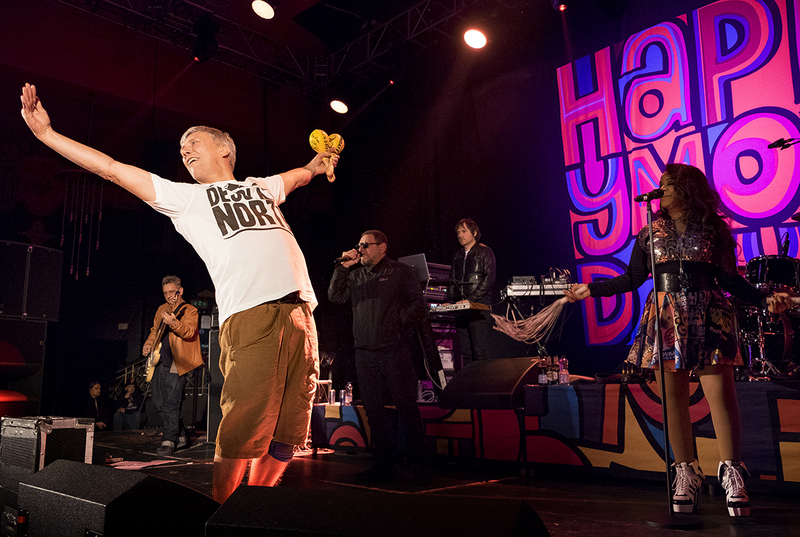 At other points Bez and Shaun’s 40 year bromance shows no signs of fading as Ryder looks on at wonder at the dancer’s enthusiasm. 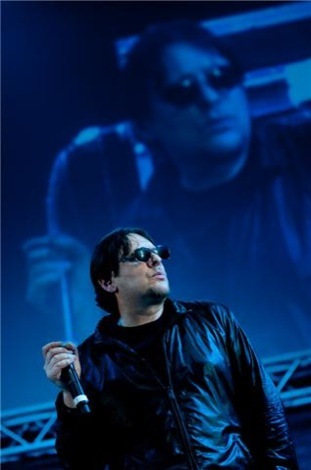 ‘He’s a machine!’ he blurts out admiringly. 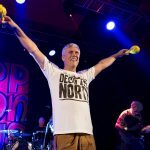 The likes of Hallelujah, Dennis and Lois and the inevitable Step On are all reproduced in pleasingly loose style and it’s wonderful to hear 1986 single Freaky Dancing splutter into life even if Ryder seemingly has no idea of the words or the tempo. 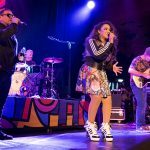 Closing with a mighty Wrote For Luck is a good call as they choose to replicate the iconic Paul Oakenfold mix. 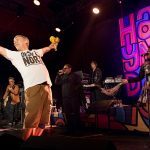 Each band member leaves the stage to rapturous applause and peace signs leaving Day alone to pick out the song’s avant-funk flourish and the audience to leave with a Proustian rush which could easily last until next Christmas.